We've been building results-driven solutions for companies, organizations and small business since 1999. By incorporating the talent in our team with the talent in yours, we achieve results that last. Dougwoody has always been focused on developing strategies that help clients do more than just make websites that look good. We're comprised of a smart team of professionals who are passionate about all things Web. Whether it's development, design, strategy or search engine marketing, we're focused on achieving the sorts of results that make our clients thrive and help get their message out in a digital world. 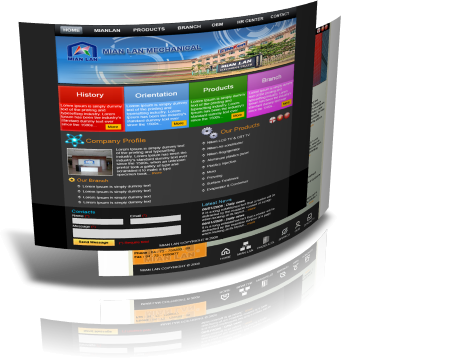 Web design is our specialty! We take great pride in our work, so when we build your web site it has to not only meet your needs, but also our own standards. We design many types of websites and have options to meet your needs. Anywhere from a basic template, to a complete state-of-the-art website with video or flash! If you're looking to simply establish an online presence, we can build you a professional, yet simple and informative basic site. However, if you're looking to make your site a leading entity of your business, we will build you a complete website and add our marketing touch to help you bring in traffic and convert them to sales. All that sound expensive? Don't worry, we are known to be one of the lowest priced companies in the Georgia. Most of our clients come through word-of-mouth and others come based on our own Internet marketing campaigns. Because of that - we can offer our clients some of the lowest prices in the market. Go ahead and try to find someone cheaper - who can present the quality of work that we do. Want to see us in person? No problem! You can visit our web design office, or arrange for us to meet you elsewhere. We can work around your schedule.